Castle in the Air: But dammit, it looks great! But dammit, it looks great! This week, penmen and calligraphic artists from around the world have convened in Orlando, Florida, for the annual convention hosted by the International Association of Master Penmen, Engrossers, and Teachers of Handwriting (IAMPETH). Among the instructors is Castle in the Air's longtime teacher Bill Kemp, who is leading one of the Engrosser's Script workshops. Those of you who live near Castle in the Air don't need to travel to Florida to learn from the best, though. 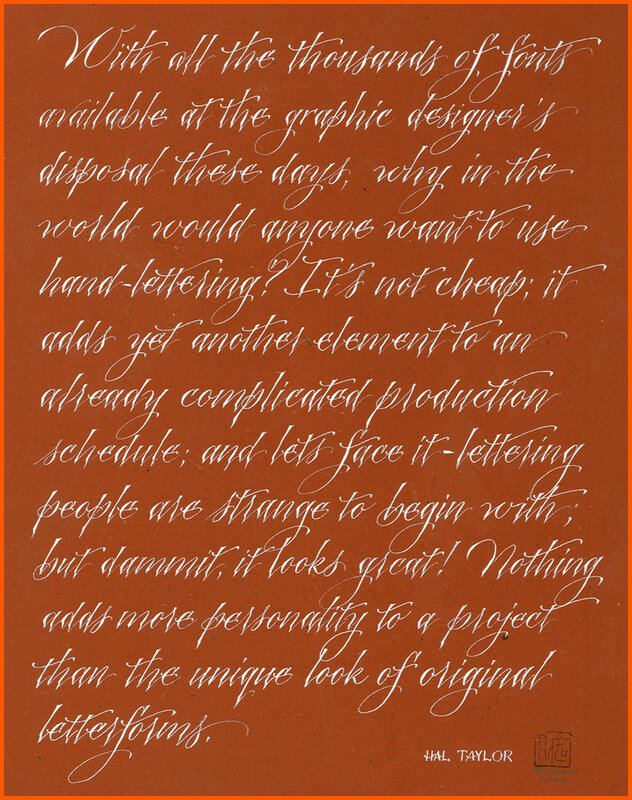 Join us six weeks from now (September 22-26) when Bill returns to Berkeley to teach Illumination, Flourished Spencerian Capitals, and Pointed Pen Variation. 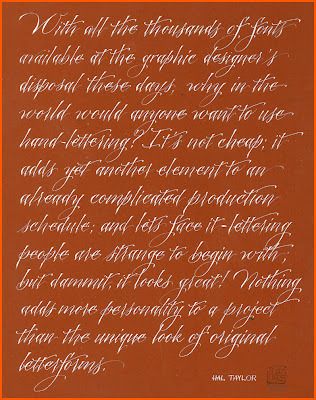 The sample above is an example of the Pointed Pen script, and is Bill's rendering of a quote from type designer Hal Taylor. We couldn't agree more with the sentiment!